Brand tracking’s not dead we just need more heroes! Of course I’m talking about the sad passing of two musical heavyweights in David Bowie & Prince. These two musical geniuses changed with the times and didn’t stand still. Over the decades they adapted, morphed and soared! When I think of us ‘rock stars’ over in the market research industry can I say the same? Well yes, and no. Yes – the industry has changed vastly in the last 5 to 10 years, moving swiftly from face-to-face, to telephone, to online, to neuroscience and beyond. Technology has helped redefine the industry. But has our thinking been redefined? Or should I say, has the research need been redefined? Short answer: I’m not sure it has. The well lamented brand tracking study is still out there, still unloved, still unused and generally still misunderstood. Now I’m not trying to put another nail in the brand tracking coffin, far from it, but the need from these studies has changed, consumers have changed, the media environment has changed, and the one thing we all would agree on is that budgets have changed. With brands spending less money, and with media plans now having seemingly endless lines on them, the ‘bland’ tracker isn’t going to pick up any specific movements anyway! We say: Review your brand annually, but do it thoroughly, they generally don’t change overnight barring disasters. Perhaps a light check in for KPI purposes in 6 months’ time. Don’t continue asking respondents questions when you are not going to do anything with their answers. Our clients brand trackers are short 10 minute online interviews, yielding a better respondent experience. 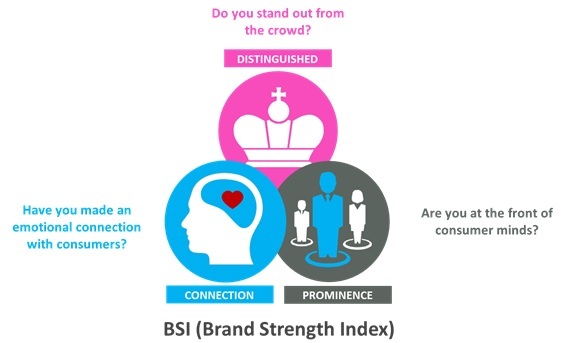 They use our ‘brand strength index’ which generates priceless insight for our clients at both a brand specific and category level. With a focused question set you can quickly understand key drivers in the category and deliver specific actionable recommendations to improve brand strength. The key is to keep focused on the measures that matter and not allow erroneous questions to creep in. So, without continuous tracking how can you measure the impact of that 15 line media plan? Targeted media requires targeted research, simple? So why don’t more companies do it? Because again it takes bravery. Bravery to say yes I can get you a sample of consumers who had the opportunity to be exposed to your targeted campaign. This is the approach we take to media evaluation at Opinium research. OTS (opportunity to see) is always our starting point for any media impact work. We interviewed consumers who were watching the Wimbledon semi-finals to ask about player / tournament sponsorship, we’ve isolated consumers travel patterns to be able to compare the impact of digital outdoor vs traditional paste and paper, and most recently we’ve introduced a low cost approach to measuring targeted SkyADsmart TV campaigns via our ADImpact tool. The answers are still out there, but the industry as a whole, including both clients and agencies, have to approach it with a more open mind and with a little more bravery to change and not just repeat what has gone before, and then to quote Mr Bowie “We could be heroes just for one day”.